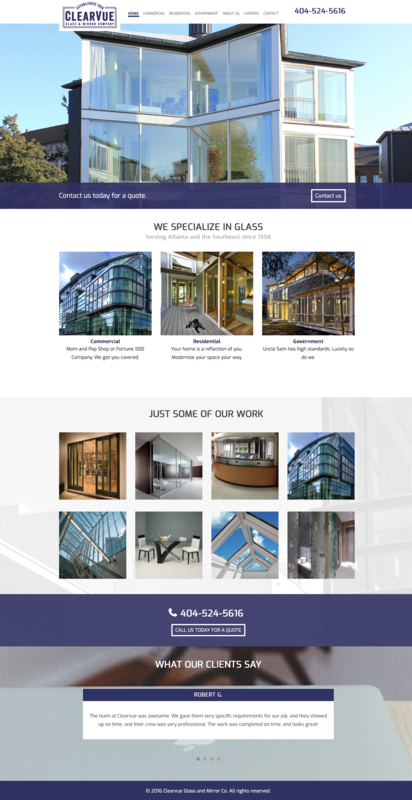 This website for a local glass and mirror company features a lot of animations and a really great photo gallery lightbox application for viewing hi-res images of their work. Our Team page photos use mouse-over effect to display contact info. Chris was referred to us by a friend and did an excellent job building our new corporate website. He and his team took care of everything and we are very pleased with the outcome. We enjoyed working with him so much, that CMH Technology is now our go-to company for all our IT related work.